I have a really neat gift idea for someone expecting or with a infant or young child. It is called a Trail Hopper. The really unique thing about a TrailHopper is that they fit like clothing and yet protect lie a blanket. No more fumbling around trying to make sure your baby is completely covered, or fighting to fit the blanket around stroller or car seat straps. 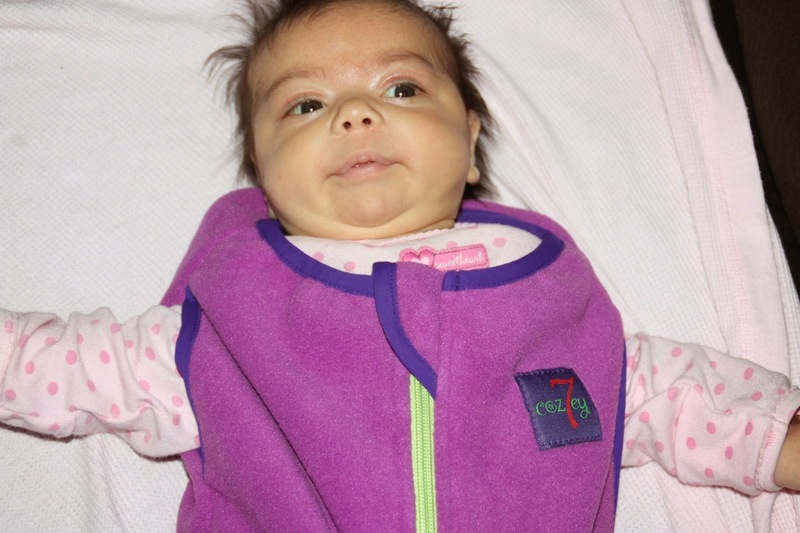 To begin with, I had to wait until this little cutie was born before I could even post this review. My good friend S, just gave birth to little R. She is adorable. She is also tiny, so she almost appears to be swimming in her TrailHopper. That is perfect though because she will grow into this as fall and cooler weather appear. 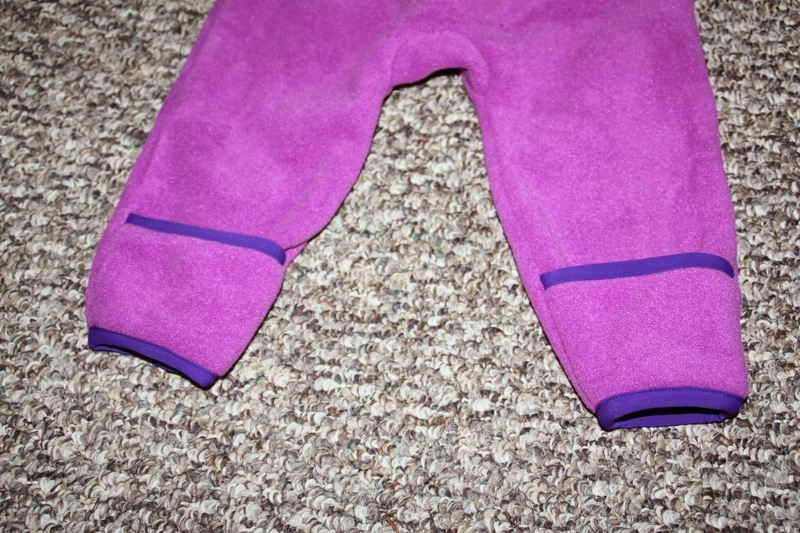 The TrailHopper is made of a really soft, breathable, Polartec fleece. 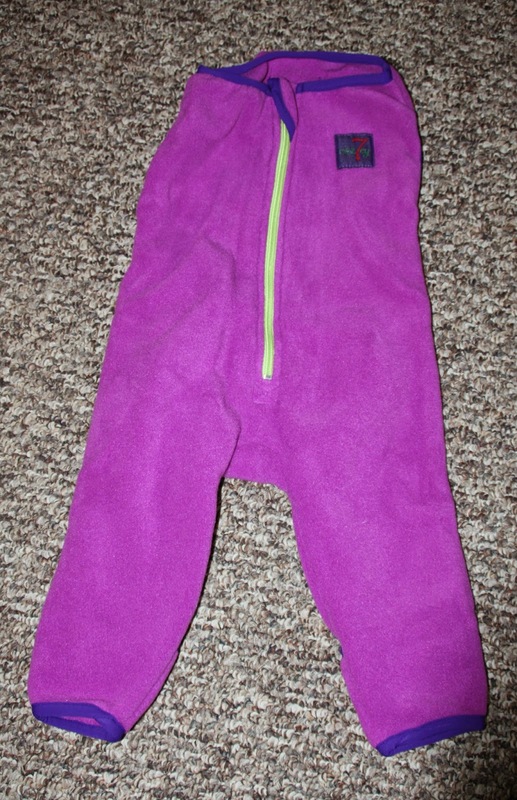 The full length zipper makes it easy to slide baby in and out. It has toe flaps to keep little feet inside and warm. This feature also helps prevent lost socks. I don't know how many baby socks I lost over the years. My friend S, says she likes he TrailHopper when she wears her carrier and R's legs hang out the, TrailHopper keeps them warm. The TrailHopper is also good in the summer when the air conditioning is on and it might be a little too cool for baby. Slip on the TrailHopper and you will both be comfortable. The TrailHopper also comes with a small carrying bag that can double as a snack bag. The bag also has a carabiner for easy attachment to a stroller or purse for toting along the TrailHopper or snacks! How did the TrailHoppers come about? Jill, a mom from Colorado and the founder of Cozey7®, found that a regular blanket needed both hands with today’s baby gear– strollers, backpacks, and carriers. She developed a performance blanket whose contoured shape integrates seamlessly with today’s gear. Modern equipment for children has straps going over children’s shoulders and up between their legs. As a result it was difficult for a traditional blanket to conveniently keep them bundled. So, the TrailHopper was born. The functional shape is perfect to slip your baby into and the blanket doesn’t get caught up around the straps and buckles letting the little one’s legs and toes get exposed. 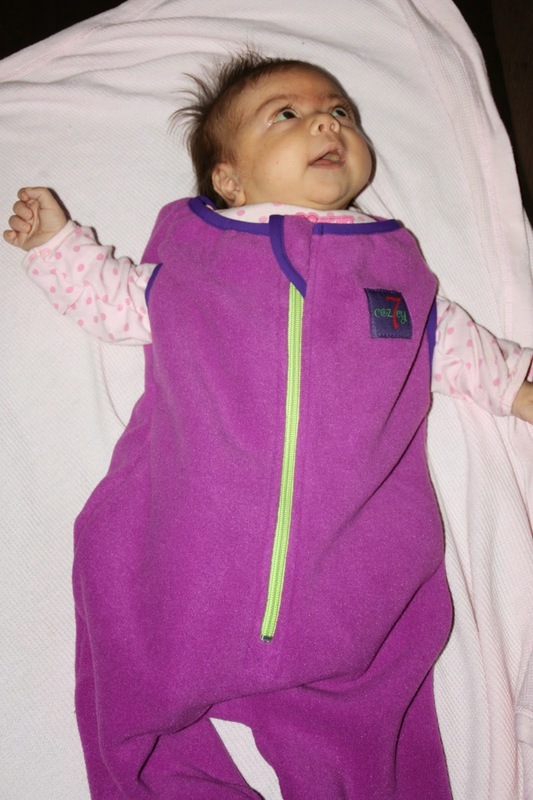 This blanket easily fits over a onesie or snowsuit providing the perfect extra layer. 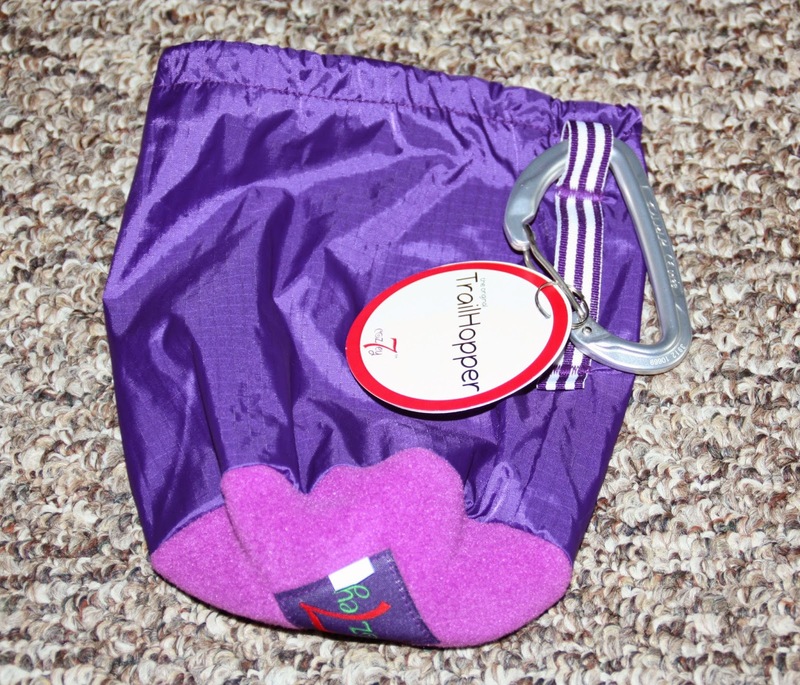 The TrailHopper is a great, hands-free way to keep the little explorer bundled down to their toes. We have a coupon code that can be used through Sept. 30th for 20% off. Use code - Blog20 Also, we are going to offer one TrailHopper for giveaway! Enter and then please share! Thanks for stopping by and come back soon for a visit! Disclosure:I received no monetary compensation for this post. I did receive product for review purposes. All quotes in red are taken directly from the sponsor's email or website. All thoughts and opinions are my own. I love the nightfall for our little guy. He isn't here yet, but he will be in December! Thanks for the chance! I like the Gumdrop, but also the Paintbrush because one is donated for every purchase. That's cool.